Five Stanley Cups put Edmonton on the map, helping it land the nickname 'The City of Champions'. But if you listen to Oilers' owner Daryl Katz and Edmonton Mayor Stephen Mandel it's going to take a brand-new rink to put Edmonton on the map. And who should pay for that rink? 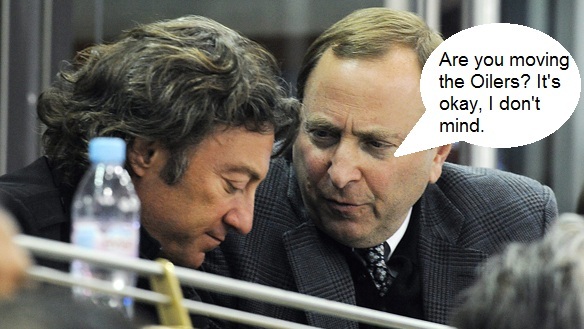 Why not billionaire Daryl Katz, but rather the good people of Edmonton. What a surprise. Sure, a nice, fancy, new arena would be a whole lot of fun, but when the public is held hostage by owners and made to subsidize the cost, which inevitably go way over budget, it's a scam. Check out today's post at The Good Point to read more.